At first, when I think of Origami, I think of the beautiful logic of its geometry. But in the process of folding, a kinship to poetry emerges. Poetry is made up of words. Traditional poetic forms have a regularity of pattern that can be compared to Origami. Folds are the language, the words, of Origami. The same folds are used in different models, just as the same words may be found in thousands of poems. It is how the words or folds are ordered, how they follow one another, are repeated or combined, that makes a particular poem or Origami model. 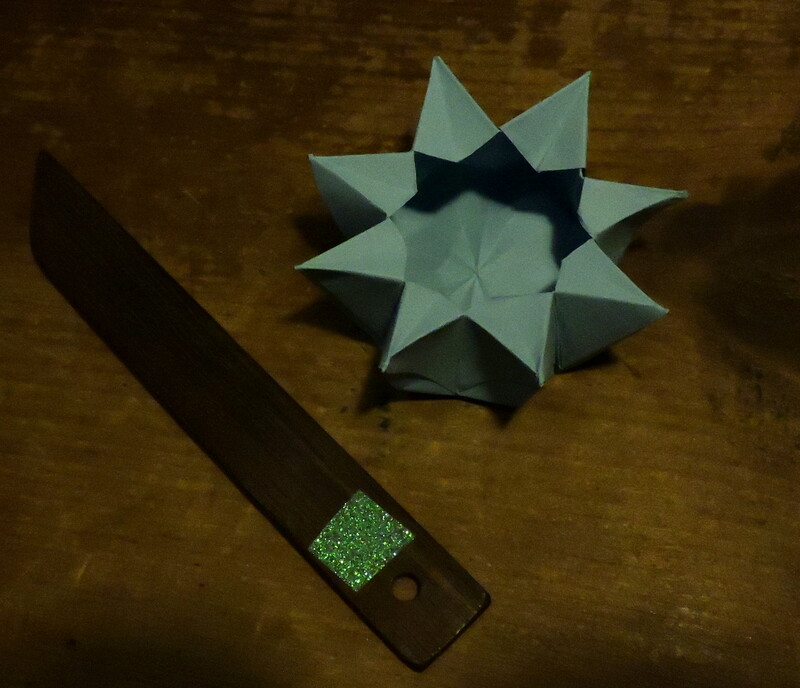 Both poems and Origami models come in varying degrees of complexity. Long, short, serious, comic; regular or free verse; few folds or many; Origami poetry spans the gamut from simple to epic. The easiest to fold are those with few lines and a pleasant rhyme (repetition of folds). Take the Chrysanthemum Bowl: A short piece with pleasantly regular form, it begins with a square, or Preliminary, base. That is the first line of its poem. The second line is four squash folds–a sort of internal rhyme. The folding down and folding inside of four corners ends the first stanza. The next stanza begins with folding eight corners to the center crease. Its second line is folding them inward. The third line of the second stanza echoes the third line of the first, folding down the points. Making the crease for the bottom and opening the bowl complete the poem, revealing all of its meaning.